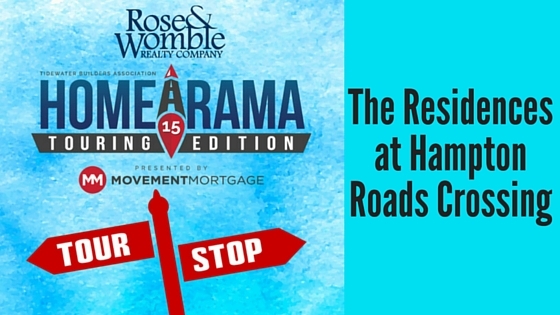 The Residences at Hampton Roads Crossing is another #RWNewHomes entrant in the 2015 Tidewater Builders Association’s 2015 Homearama Touring Edition. This pedestrian-friendly community is entering The Conrad into the tour. This home has an open concept living with the kitchen overlooking the great room downstairs. The master bedroom has a view of the community pool. Terry-Peterson Residential is the builder for this community.